WEDNESDAY, April 12, 2017 (HealthDay News) -- A recent discovery in mice might one day lead to a new approach for treating people with amyotrophic lateral sclerosis (ALS), researchers report. They found that suppressing a single protein significantly extended the lives of mice with a form of ALS, a progressive neurodegenerative condition also known as Lou Gehrig's disease. 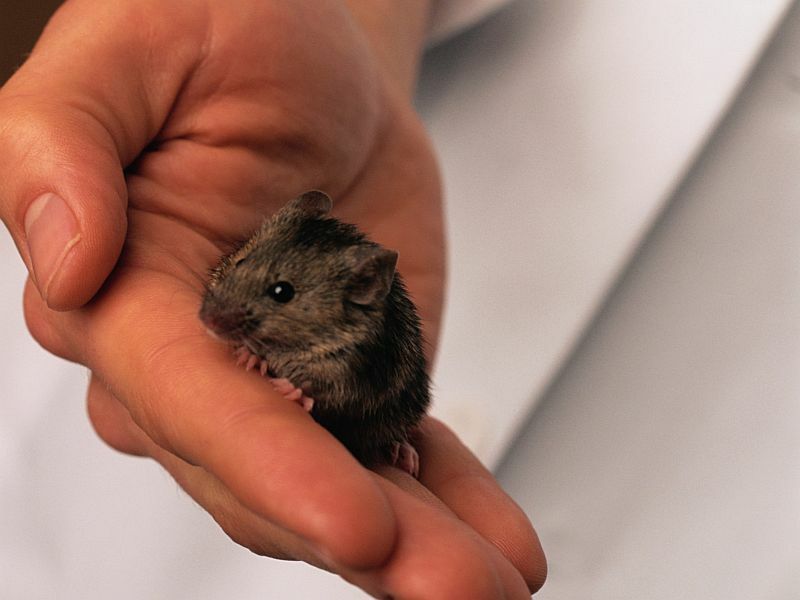 In one experiment, untreated mice lived no longer than 29 days. Yet, some of the mice with a suppressed ataxin 2 protein were alive for more than 400 days, the study showed. While these findings appear promising, they need to be viewed cautiously. What works in animals often doesn't pan out in humans. In ALS, nerve cells in the brain and spinal cord degenerate. This leads to wasting of the muscles and the gradual loss of the ability to move, speak, eat or breathe. In most cases, paralysis and death occurs within two to five years, the researchers said. Along with risk factors such as old age, mutations in certain genes can cause ALS. One indicator of ALS is clumps of a protein called TDP-43 in the brain. Previous research has shown a link between TDP-43 and ataxin 2, the study authors noted. Cells need TDP-43 to survive, which means that that particular protein can't be completely suppressed. But ataxin 2 isn't necessary for cell survival, the researchers explained. "We wanted to find out if we could protect these mice from the consequences of TDP-43 by lowering the amount of ataxin 2," study senior author Aaron Gitler, an associate professor of genetics at Stanford University, said in a school news release. The researchers genetically engineered mice with ALS that were not yet showing symptoms to have either half the normal amount of ataxin 2 or to completely lack the protein. Compared to normal mice with ALS, those with half the ataxin 2 survived much longer. "But what was really astounding was that when we completely removed ataxin 2, there was really an unprecedented survival; some of the mice lived hundreds and hundreds of days," said study author Lindsay Becker, a graduate student at Stanford. Because TDP-43 clumping occurs in nearly all ALS patients, targeting ataxin 2 could be a widely effective treatment approach, Becker said. The study was published online April 12 in the journal Nature.